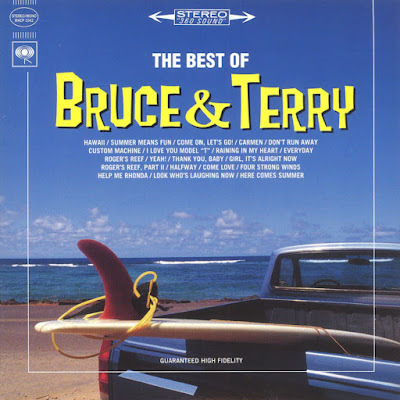 Best known for their hits as the Rip Chords, the vocal duo of Bruce Johnston and Terry Melcher collaborated on countless hot-rod and surf records during the mid-1960s, working under a seemingly endless variety of studio guises. While Johnston was already a well-known West Coast session player, Melcher (the son of Doris Day) had released a series of singles under the name Terry Day before being named Columbia Records' youngest-ever staff producer; he brought Johnston to the company to release 1963's Surfin' Round the World, and the pair soon began collaborating regularly. As the Rip Chords, they scored their biggest hit with 1964's "Hey Little Cobra; " a series of singles credited to Bruce and Terry followed before the duo went their separate ways, with Johnston joining the Beach Boys and Melcher enjoying even greater success as a producer. 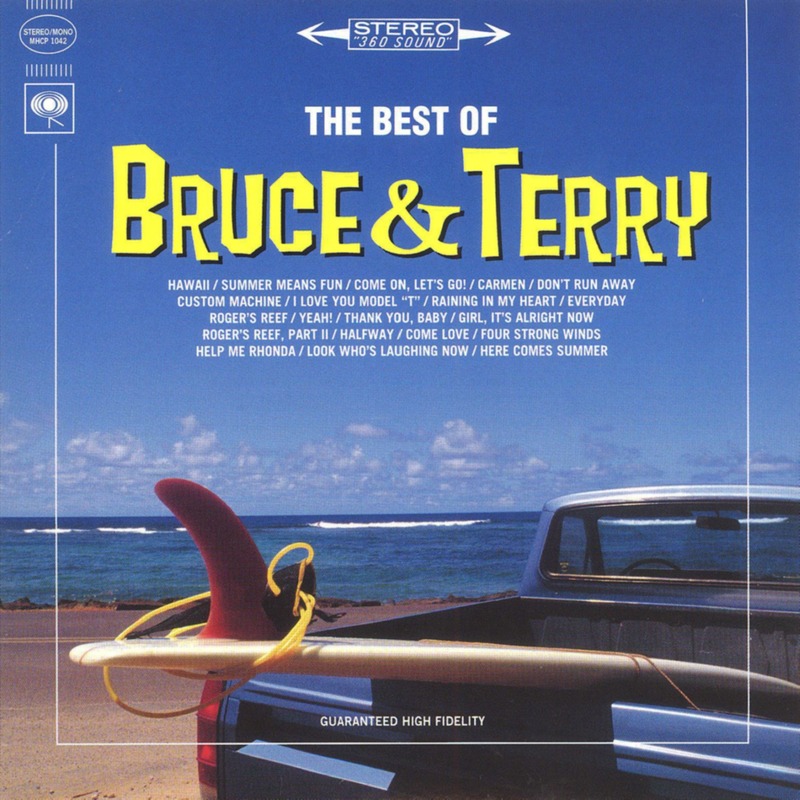 In mid-1998 the Sundazed label compiled The Best of Bruce and Terry, a 20-track collection of their hits. This 20-track compilation gathers together the best of Johnston's and Melcher's best sides for Columbia under the B&T moniker. That's important, because this collection could just as easily have been double the length if they had amassed all the tracks that Bruce & Terry had recorded under other names like the Rip Chords, etc. including the hit "Hey Little Cobra." 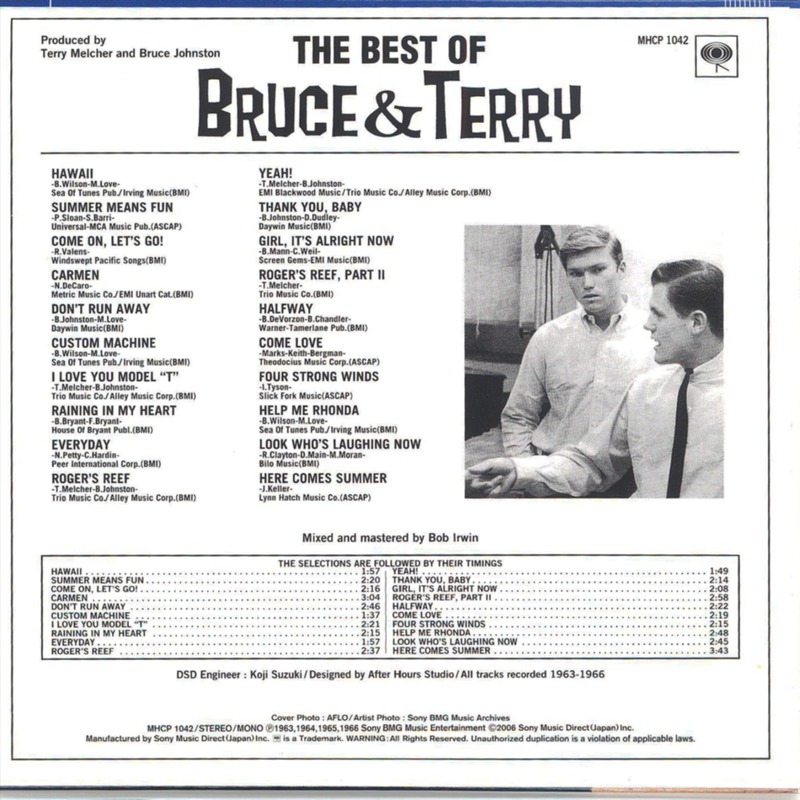 Because Bruce & Terry were a virtual vocal overdubbing machine, some of the tracks on here ("Custom Machine," "Don't Run Away," "I Love You Model T," "Come Love," "Raining In My Heart") appear in mono-only formats. This becomes the only way to hear the final product as it was etched into black phonograph records, as B&T would overdub right directly onto the final single track mix. It also gives the sound of these tracks an edgy, mid-rangey "squashed" kind of compression to them, making them leap out of the speakers. As a musical satellite orbiting around the Brian Wilson/Jan & Dean/Wrecking Crew axis, the music here reflects that time and sound beautifully. These are the beginnings of two long-standing careers in the record business and the records they literally cut their teeth on. Based in Los Angeles, California, USA, this duo comprised Terry Melcher (Terrence Jorden, 8 February 1942, New York City, New York, USA, d. 19 November 2004, Beverly Hills, California, USA; vocals) and Bruce Johnston (b. 27 June 1944, Peoria, Illinois, USA; vocals). They met in 1959 when Johnston recorded for the Arwin label which was co-owned by Melcher’s mother, Doris Day. Within three years Melcher had become a staff producer at Columbia Records where he oversaw, among other albums, Johnston’s Surfin’ Around The World. The pair began working together in 1963 as the Hot Doggers, before enjoying chart success as the Rip Chords. They made their chart debut as Bruce And Terry in February 1964 with ‘Custom Machine’, written by Brian Wilson of the Beach Boys. It was succeeded by ‘Summer Means Fun’, the first of several P.F. Sloan / Steve Barri songs the duo recorded. Bruce and Terry parted company in 1965 as Melcher’s production commitments to the Byrds and Paul Revere And The Raiders took precedence. In April 1965 Johnston joined the Beach Boys, with whom he still plays. 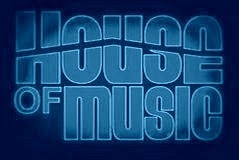 However, he resumed a partnership with Melcher in 1976 when the pair founded a short-lived record label, Equinox Productions.